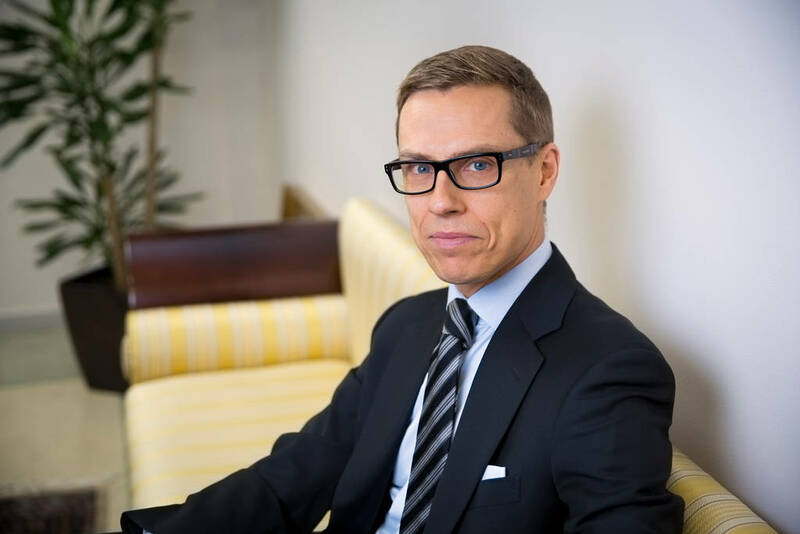 Home › Economy › Will M. Stubb’s government decide to ask subsidies for Finland from the (dubious) European Fund for Strategic Investments? There seems to be some hesitations and change of mind in the Finnish government when it comes to decide if Finland will ask or not to benefit from the European Fund for Strategic Investments. In November, Jyrki Katainen, Vice President of the European Commission responsible for Jobs, Growth, Investment and Competitiveness has presented with President Juncker the creation of a new European Fund for Strategic Investments (EFSI), “guaranteed with public money, to mobilise at least € 315 billion of additional investment over the next three years (2015 – 2017)”. In fact, the European Union is simply using 5 billion euros of funds already existing and which were sleeping in the accounts of the European Investment Bank. They will be supported by 16 billion of financial guarantee from the EU budget already contained in the 2014-2020 budget. There is in fact no new budget, just 21 billion of existing money, and M. Juncker’s capacities as an illusionist. How did they arrive to 315 billions for 3 years? M. Katainen and M. Juncker are simply hoping that for all projects, there will be additional national public and private funding providing 14 euros when the Commission will give 1 euro (multiplying factor), which is either considered optimistic or impossible by the specialists, depending if they are nice or nasty. This magical trick will be functioning only if there is enough public and private money available, which is not so evident for now considering the deficits in the EU Member States. In addition, how many of these projects were already planned? When it is the case, it means that the money from Brussels will just allow the EU member states to spare some money and reduce their deficit, without much impact of the growth. It is quite clear when you look at the list of the projects presented in January by the Member States that many of them were in the pipeline, with or without the EU funding. There may be a positive aspect however if these projects are implemented earlier because the opportunity of EU financing is available now. Now, M. Stubb’s government seems to be embarrassed with the decision to take: should Finland participate or not? At first, the reaction was positive. On 28th of December, when meeting the French Minister of European Affairs, Minister Toivakka declared: “In the short term, Vice-President Jyrki Katainen’s investment programme plays a prominent role with the objective of achieving a more effective use of the existing resources and dismantling barriers to investments”. All goes well, and on the 2nd of December Minister of Economy Antti Rinne and Prime Minister Alexander Stubb met on the with European Investment Bank President Werner Hoyer (in charge of the Fund) in Helsinki to lobby for Finnish infrastructure projects such as a liquefied natural gas terminal and a pipeline to Estonia already agreed upon, a rail connection for Sokli phosphate mine and the necessary infrastructure for a 1.1 billion-euro bioproduct factory in Aanekoski. After the meeting, Rinne said: “It’s important for Finland to at least get its share of startup funds for projects”. And on the 3rd of December, Prime Minister Stubb declared “We must have ways of encouraging private investments in Europe and the Commission proposal contributes to this objective”. On the 9th of December, the EU Task Force on Investment, in charge of looking at the projects presented by all the EU countries, published a report identifying around 2,000 projects across Europe worth some €1.3 trillion of potential investments, out of which over €500 billion worth of projects that could potentially be implemented over the next three years. If you listen to the task-force, many of these projects are currently not being realised due to financial, regulatory or other barriers. What about Finland? There is a list of Finnish projects, but it begins with the following text: “Illustrative Investment Proposals compiled by different branches and levels of administration, the Government has not committed itself to implement this list”. And on the 15th of December, Stubb announced “Finland will not be participating in the investment package under the current circumstances… It would be prudent to proceed with caution with respect to this investment package. We first have to see what it contains and how open it is”. Christmas holidays came, and now the investment fund was forgotten. Why Prime Minister Stubb did become reluctant? I would be very curious to know what happened exactly. Was there a report from the civil servants? The sudden understanding that when the Commission gives one euro, you have to find fourteen euros in loans and subsidies from public budgets? Or is it to put some kind of pressure on the Commission and the European Investment Bank in order to get more subsidies for Finland? Does it simply mean that, as he is used to do, Prime Minister Stubb has jumped with enthusiasm on what he considered was a good idea, until he was presented with a more thorough analysis? And now, it will be interesting to see what will happen. Are all the political parties agreeing on Stubb’s position? Does this mean that Finland criticises Juncker-Katainen’s proposal? ‹ Which of the 221 proposals of the Finnish Greens’ programme are going to be used for the election?